Thinking about a vacation home that can easily be used as an investment rental rather than sit empty when you aren’t using it, Beach Colony Resort condos are an excellent choice. The large variety of floor plans, from studios with kitchenettes to 2,3, and 4 bedroom units offering oceanfront and ocean views provide many options to fit almost any budget or lifestyle. Part of the allure of this incredible resort is a wonderful array of amenities. What’s a vacation without fun things to do? There are 2 oceanfront pools, an indoor pool, indoor and outdoor whirlpools, a lazy river, and a sauna for splashing and relaxing with friends. With free Wi-Fi and an oceanfront Internet Café, you can share your stunning photos of the beach with friends back home as soon as you take them. You'll find a snack bar and grill, a game room to entertain kids of all ages, an exercise room, racquetball and shuffleboard courts for friendly competitions. And that’s just the start. The summertime activity program for kids offers fun and games like face painting, pool parties, seashell searches, tee shirt painting, beach bag painting and more for children ages 5 and older. This gives Mom and Dad chance for time alone while the kids are having their own special time. 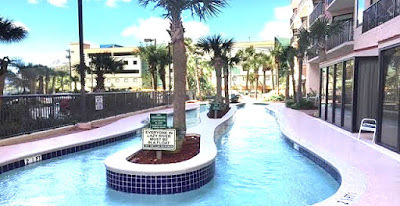 Beach Colony condos are popular vacation rentals among investors because they are favorites with vacationers who come back to Myrtle Beach year after year. You can spend your family vacation at you own condo on the beach then rent it the rest of the time and let it help pay for itself. 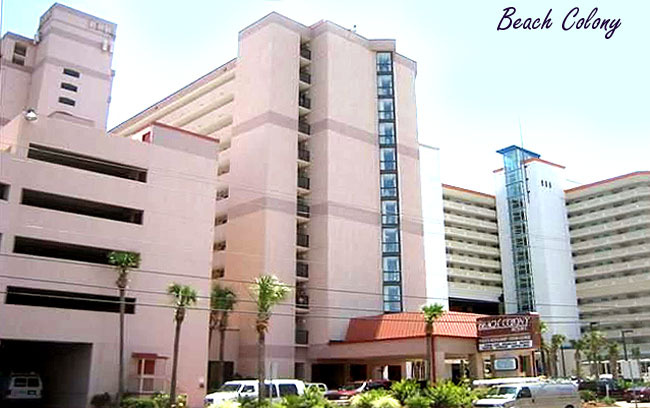 Check out our website for more information and then call us to schedule a private tour of the condos for sale at Beach Colony Resort.